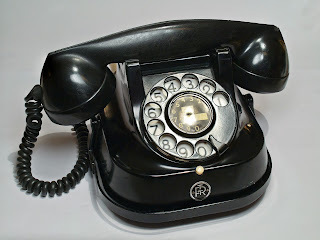 Do you remember the telephone game? One child comes up with a phrase (e.g. “I love to run”) and then whispers that phrase to the child sitting next to her. This child then whispers what she heard to the child sitting next to her, and so on. By the time the phrase reaches the final child, what started out as “I love to run” could have been transformed into “She shoved a nun,” a complete distortion of the initial sentiment. Unfortunately, a similar telephone game can, and often does, occur in the popular news. This phenomenon was showcased by Dr. Marise Parent’s recent publication, which received considerable press coverage. Dr. Parent, a professor of neuroscience and psychology at Georgia State University and the speaker at our April Neuroethics and Neuroscience in the News journal club, explained how her data linking consumption of a sucrose meal to formation of a food memory was transformed into media headlines claiming “Sweets can help you stay in shape” and “Don’t skip dessert. It can help you eat healthier.” A perfect grown-up example of the telephone game at work. Dr. Parent’s research at Georgia State focuses on memory in both humans and rodents. Parent explained that there are two major types of memory: semantic memory and episodic memory. Semantic memory refers to memories of facts (e.g. A lake is a large body of water surrounded by land), while episodic memory refers to autobiographical memories of events and experiences (e.g. I went to the lake last Saturday). Episodic memory also includes memories of past meals and provides a record of food intake that lasts long after you have finished eating. These food memories then influence your future eating behavior-- for instance, if you remember that you ate a large breakfast, you may decide to have a lighter lunch . The brain region most closely associated with memory is the hippocampus, which derives its name from the Greek word for “seahorse.” In addition to being involved in general memory formation and retrieval, the hippocampus plays a large role in episodic memory, including the formation of food memories. Parent explained that the hippocampus has receptors for distention, satiety, and other food-related signals [2, 3], and that damage to the hippocampus results in increased food intake . Furthermore, dorsal hippocampal neurons are specifically involved in the formation of episodic memories . Parent showed data indicating that rats subjected to inactivation of their dorsal hippocampal neurons after ingesting a sucrose meal ate their next sucrose meal sooner and ate more during this meal as compared to when their dorsal hippocampal neurons were unaltered . A subsequent study determined that when a rat ingested sucrose, there was increased expression of a marker of synaptic plasticity in its dorsal hippocampus. Expression of this synaptic plasticity marker is associated with memory formation, suggesting that the rat was forming a memory of its sucrose meal . These data raise an interesting question about the role of free will in feeding behavior: do we have conscious control over what we eat, or are we just slaves to our food memories? If our free will is not sufficient to control what we eat and we are driven entirely by food memories, then we cannot be blamed for our feeding behavior-- a conclusion that has important repercussions for obesity and other food-related disorders. Obesity was recently labeled a disease by the American Medical Association (though there is contention about this classification). Some suggest that designating obesity as a disease allows blame for the condition to shift from being centered on the obese individual to being centered on forces beyond the obese individual’s control. If obesity is the result of forces beyond our control (like food memory formation), then obese individuals are simply victims of their obesity-- their food addiction is beyond their control and cannot be altered by force of will. Yet, food memory formation is not entirely out of our control. Parent explained that attention to food consumption alters the formation of a food memory, such that being distracted while you eat impairs the formation of a food memory and increases future food intake, while increased attention, or mindfulness, while you eat enhances the formation of a food memory and decreases future intake [8, 9]. For example, if you eat a piece of pizza while watching a movie, your memory of eating the pizza will be impaired and you will eat more food later on. Conversely, if you focus on the texture of the crust and the spiciness of the pepperoni while eating the slice of pizza, your memory of eating the pizza will be enhanced and you will eat less food later on. Thus, the influence of mindfulness on food memory formation suggests that we have a conscious role in what we eat and reintroduces free will into our feeding behavior (though free will is still a rather complex topic, as previously discussed on the blog here and here). After publishing her findings on food memory formation in an article entitled, “Sweet orosensation induces Arc expression in dorsal hippocampal CA1 neurons in an experience-dependent manner ,” a press release was written and published by Georgia State describing Parent’s work. Parent worked closely with the writer of the press release to ensure that her findings were accurately described and interpreted, and a press release entitled “Consuming Sweets Forms Memories That May Control Eating Habits, Neuroscience Study Finds” was published in November 2015. 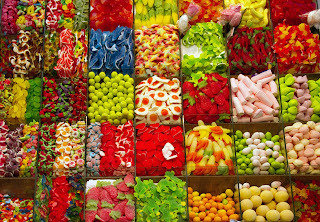 Though Parent did not have a problem with the title of the press release, the title made a small generalization that had huge implications for how the media interpreted Parent’s work: it erroneously broadened the “sweet orosensation” described in Parent’s article to generally “consuming sweets.” This seemingly minor generalization attributed memory formation to eating sweets instead of to the consumption of a meal that was comprised of sucrose. Soon after the Georgia State press release was published, Parent’s research was discussed by journals and news sources around the world, including Science Daily, the Daily Mail, ZME Science, The Atlanta Business Chronicle, The Science Explorer, and many others. Just like the telephone game, Parent’s findings became more and more distorted over time: starting with the claim that sweets form memories that may help control eating, articles were soon declaring that people should eat sweets with every meal and that eating desserts will help you eat healthier, eat less, and stay in shape. This unanticipated media coverage raised a few serious questions for Parent: Is bad news coverage better than no news coverage? And, do researchers have ethical and social responsibilities to ensure that their findings are interpreted correctly? Many scientists are excited by the prospect of having their research discussed in popular media, both because of the scientific awareness that arises from such discussion and also because of the prestige that often accompanies news coverage. However, as occurred with Parent's work, sometimes the media misinterprets scientific findings and then raises awareness about these misinterpretations. The detrimental effects of spreading inaccurate research claims can be substantial, potentially leading to negative public health consequences (think vaccines and autism). The headlines inspired by misconceptions of Parent’s work also have the potential to negatively impact health, with some articles proposing new dieting regimens based on chocolate. Faced with the increasing number of news articles that misinterpreted her work, Parent was torn as to whether she should correct the media. Though she wanted there to be accurate news coverage of her findings, she explained that there was little incentive for her to correct the headlines. As of yet, her scientific reputation remains unharmed by this runaway media coverage (though the question remains as to whether her reputation will be tarnished by these false interpretations in the future) and she stated that writing a correction article would not provide her with any monetary or career advancement-- the time spent writing a correction would not result in scientific publications to improve her publication record nor would it result in grant money to help fund her research. Furthermore, though Parent and others believe that scientists have the responsibility to produce a scientifically-literate society, which includes monitoring the information that is disseminated to the public, such monitoring often isn’t common practice. As Parent stated, there is little incentive for scientists or universities to act on their ethical responsibility to educate the public. The mantra within the science community is often described as “publish or perish”-- publish as many papers as you can or you will not have a successful career-- and the field often emphasizes scientific success and career advancement over scientific advancement and the pursuit of truth. In some instances, this emphasis on personal success has led to people cutting corners and sacrificing the quality of their science to obtain a publication. Recent examples include the retracted Science article describing the influence of lobbying on people’s opinions on gay marriage, and the finding that a large proportion of previously published psychology studies cannot be replicated. A cultural shift is needed that will move scientists toward the promotion of the greater good of science and away from the sole promotion of the greater good of their careers. To reach this goal, scientific training should incorporate the basics of science communication and should emphasize the value of interfacing with the public. Additionally, there should be more incentive for both the researcher and the research institution to ensure that scientific findings are accurately portrayed by the media. Such incentives may appear in the form of additional watchdog sites, such as Quackwatch, or increased frowning-upon of bad scientific news coverage. This discouragement of incorrect news stories will raise emphasis on good media coverage and will give researchers more incentive to pay attention to what the media is saying about their work. Alternatively, rewarding good communicators through promotion within their institution and through funding incentives may be even more effective than punitive measures. Understandably, such wide-scale changes cannot happen overnight. In the meantime, researchers must use caution when describing their research to the media and we should all strive toward the goal of creating a society where the telephone game is played solely among children and does not encroach into popular media. 1. Higgs S. Memory and Its Role in Appetite Regulation. Physiol Behav. 2005;85(1):67-72. Epub 2005/06/01. doi: 10.1016/j.physbeh.2005.04.003. PubMed PMID: 15924907. 2. Wallner-Liebmann S, Koschutnig K, Reishofer G, Sorantin E, Blaschitz B, Kruschitz R, Unterrainer HF, Gasser R, Freytag F, Bauer-Denk C, Schienle A, Schafer A, Mangge H. Insulin and Hippocampus Activation in Response to Images of High-Calorie Food in Normal Weight and Obese Adolescents. Obesity (Silver Spring). 2010;18(8):1552-1557. Epub 2010/02/20. doi: 10.1038/oby.2010.26. PubMed PMID: 20168310. 3. Davidson TL, Jarrard LE. A Role for Hippocampus in the Utilization of Hunger Signals. Behavioral & Neural Biology. 1993;59(2):167-171. Epub 1993/03/01. PubMed PMID: 8476385. 4. Davidson TL, Chan K, Jarrard LE, Kanoski SE, Clegg DJ, Benoit SC. Contributions of the Hippocampus and Medial Prefrontal Cortex to Energy and Body Weight Regulation. Hippocampus. 2009;19(3):235-252. Epub 2008/10/03. doi: 10.1002/hipo.20499. PubMed PMID: 18831000; PMCID: PMC2649976. 5. Veyrac A, Allerborn M, Gros A, Michon F, Raguet L, Kenney J, Godinot F, Thevenet M, Garcia S, Messaoudi B, Laroche S, Ravel N. Memory of Occasional Events in Rats: Individual Episodic Memory Profiles, Flexibility, and Neural Substrate. 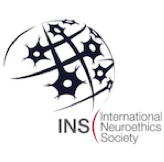 J Neurosci. 2015;35(19):7575-7586. Epub 2015/05/15. doi: 10.1523/jneurosci.3941-14.2015. PubMed PMID: 25972182. 6. Henderson YO, Smith GP, Parent MB. Hippocampal Neurons Inhibit Meal Onset. Hippocampus. 2013;23(1):100-107. Epub 2012/08/29. doi: 10.1002/hipo.22062. PubMed PMID: 22927320. 7. Henderson YO, Nalloor R, Vazdarjanova A, Parent MB. Sweet Orosensation Induces Arc Expression in Dorsal Hippocampal Ca1 Neurons in an Experience-Dependent Manner. Hippocampus. 2016;26(3):405-413. Epub 2015/09/20. doi: 10.1002/hipo.22532. PubMed PMID: 26386270. 8. Higgs S, Williamson AC, Attwood AS. Recall of Recent Lunch and Its Effect on Subsequent Snack Intake. Physiol Behav. 2008;94(3):454-462. Epub 2008/04/19. doi: 10.1016/j.physbeh.2008.02.011. PubMed PMID: 18420236. 9. Robinson E, Aveyard P, Daley A, Jolly K, Lewis A, Lycett D, Higgs S. Eating Attentively: A Systematic Review and Meta-Analysis of the Effect of Food Intake Memory and Awareness on Eating. Am J Clin Nutr. 2013;97(4):728-742. Epub 2013/03/01. doi: 10.3945/ajcn.112.045245. PubMed PMID: 23446890; PMCID: PMC3607652.